Learning to build your own still has a number of benefits, especially when it comes to survival. Although currently illegal to make and sell moonshine, the product does have a huge market, which means you can barter for other necessities or tools useful during a crisis. 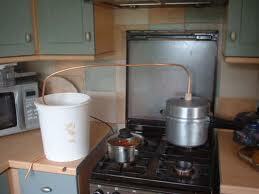 If you prefer, you do not have to use the still to make alcohol, as you have the option of using it to distill water. 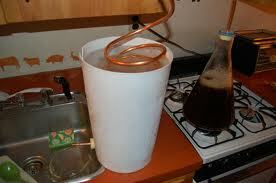 Building a still should not be a difficult task, though it is time consuming and requires some research. The most important thing you need to do before you begin to build your own still is find a good location. Since you intend to make or filter items for survival purposes, you need to hide your still, as others may want to use it, steal your finished product or destroy the competition. Once you find a hidden space large enough to build the still, you can gather your materials and get to work. Before you begin to build your own still you should first have an idea of the dimensions, the most important of which are those for the pot. 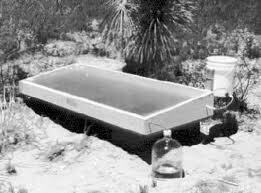 For instance, if you want your still to hold 15 liters of fluid, then you need to use a pot that can hold about five to ten liters more than what you want to produce. In addition to size, your pot also needs a sturdy lid that locks into place but does not take up so much space that it prevents you from reaching in to give it a good cleaning. If a thick lid is not available, you may use a thinner one, though you are going to have to add support columns to reinforce it. When you build a still, each element plays a role in deciding the dimensions. To get the job done quicker, you might want to make a still with a diameter of one and a half inches, a size that allows you the luxury of installing a bigger heating element, usually one that is between 1000 and 1500 watts. If you want to add a second heater to help reduce the preparation time even further, then you can double the diameter. When in doubt, always make the still two inches wider, as this does not impact the quality of your liquid as much as a diameter that is too narrow. The dimensions you choose also affect the quality of your product. If you want a cleaner, purer product, you need to build a taller still and make room for packing and insulation.Your choice of packing can alter both the dimensions and level of purity, as copper and stainless steel scourers only need to be half as high as marbles to provide you with the same results. If purity is a priority, then you need to build a taller still and make room for a hundred centimeters worth of scrubbers. Additionally, you also need to consider the space taken up by insulation because you need it to run the entire length of the column. The last factors you need to consider when building your own still is the type of internal cooling coil and the external condenser you intend to install. The cooling coil is going to serve as your means for obtaining the refluxing liquid and needs to go into the head of the column. As for the condenser, a Euro style model is one of the best, as well as the cheapest, and it can supply the cooling water to the outlet pipe. Directly connect these two components with some pipes, put in a thermometer to monitor the temperature and start cooking! The overall process to build your own still is lengthy, very detailed and unless you know what you are doing, you are likely to need a visual aid. Printing out instructions and purchasing materials to make this device, even if you do not plan to build it now, may come in handy later, as a still definitely has benefits in a survival situation.